Aikatsu! – 78 | Mezashite! I was going to write a note about ferrets or something, but it really doesn’t matter. Mezashite does not condone the use of illegal graffiti. Aikatsu responsibly. Also, wish Maria a happy birthday, since she’s long since relegated to being a third-class character. So, we will really have Ichigo x Seira vs Mizuki x Mikuru that is boring I would be happier if Ichigo’s partner was at least an interesting character Seira’s voice don’t go well with idol songs besides she just started as an Idol and is a very plain character. You guessed right on that post from episode 76 so who knows Akari could really be the season 3 protagonist. 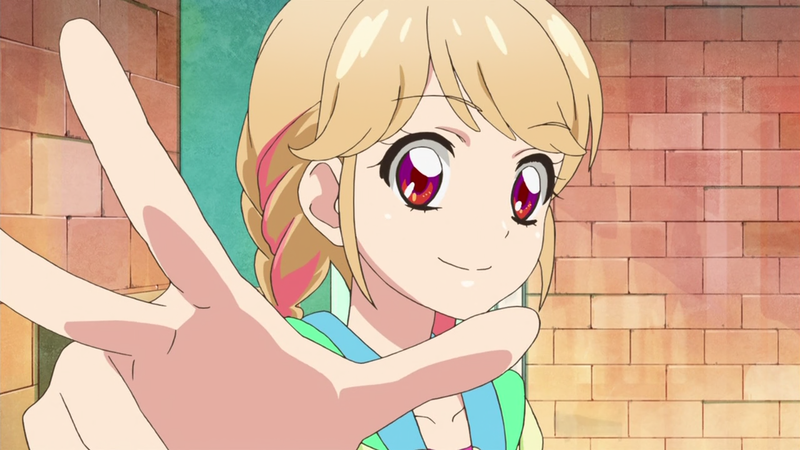 She is also not the Gemini everyone hoped for but Aries and probably Aurora Fantasy user… And I love Akari already!